In less than a decade, the polymerase chain reaction (PCR) has evolved into the common denominator of molecular biology for nucleic acid research. 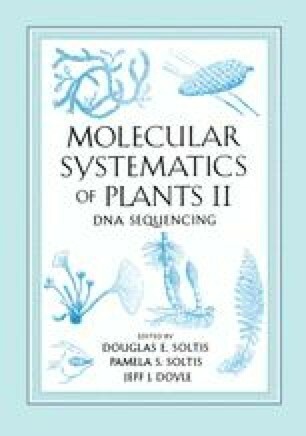 The most important impact of PCR in plant molecular systematics has been rapid amplification of DNA regions, facilitating nucleotide sequencing (see Chapter 1). However, there are many other techniques aside from DNA sequencing in which PCR is appropriate and extremely useful. In this chapter we review these applications of PCR in plant systematics and highlight areas of research that have been underused in plant molecular systematics laboratories.